Honolulu real estate starts here. Listings are updated every 30 minutes from the Oahu MLS (Honolulu homes, condos, vacant land for sale). 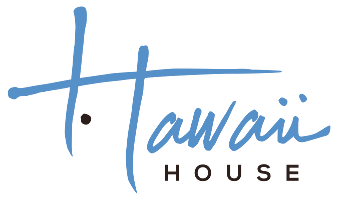 We are Hawaii’s Professional Realtors with our famous heroic service. NEW LISTING! LUXURY REDEFINED. Experience the epitome in urban living w/this extraordinary 3 bd+office/3.5 ba residence at coveted Park Lane Ala Moana. Exquisitely detailed for discerning buyers, unit features over 3,300 sqft of elegant living spaces including an open, free flowing flr plan w/10' tall ceilings, 2 mastr suites, a chefâs dream kitchen with Wolf/Sub-Zero appliances & built-in sound system throughout. Exit the floor-to-ceiling glass drs to an extraordinary outdoor area perfect for indr/outdr entertaining w/soothing ocean views, expansive covd patio, private landscaped yd, BBQ area & salt water pool & spa. One of only a few select residences w/attached 2-car garage, this unit combines the convenience of an ultra lux hm w/resort-style amen such as 24-hr security, concierge, valet pkg, theater, dining facilities, fitness ctr, comm pool/spa & pvt wine storage. The perfect location w/exclusive access to Ala Moana Shop Center via pvt elev & just steps from beach! A MUST SEE!!! Park Residence #5505 is situated on the 5th floor along the namesake Park Lane. Enjoy the direct ocean views as well as natural light and landscaping views through the windows on the backside of the home. The quintessential âU-shapedâ design of the Park Residences envelops a deep, covered lanai, making the outdoor space a true extension of the home. Park Lane Ala Moana combines with the added benefits of a 24-hour Residential Services team and unparalleled resort-style amenities. Adding to the indoor/outdoor lifestyle experience. Park Lane is located in the heart of Honolulu. This beautifully furnished grand penthouse 3BR (2 grand master bedroom suite)+Den +Entertainment room/3.5BA/3 PKG with 1,935 sqft rooftop terrace offers breathtaking views of Ocean, Ala Moana Beach Park, Ala Wai harbor from 10 feet high ceilings & floor to ceiling glass throughout. ONE Ala Moana is ultra luxury, an elegant, refined, well designed condominium conveniently located above Ala Moana Centerâthe worldâs largest open-air mall with extraordinary lifestyle and amenities beyond comparison. Beside a 210 bottle Sub-Zero wine cooler, extra wine tower to showcase and keep hundreds of precious wines. The rooftop terrace is equipped for perfect entertaining with BBQ, pizza oven or just soak in the jacuzzi under the starlight. Presenting Waiea #2101, an unrivaled paragon of modern luxury meets Hawaii lifestyle in dynamic, desirable Ward VillageâArchitectural Digestâs top master-planned community for 2017. Your truly special experience begins with a private elevator entrance leading to a spacious ocean view foyer. Step inside and become captivated by the open contemporary floor plan; Interior design work by Honolulu's Clifford Planning & Architecture. Centrally located in Kaka`ako, Honoluluâs most desirable upscale walk-able neighborhood. All of your needs are within a couple blocks including Ala Moana Beach Park, Whole Foods, Ward Village dining, shopping, Ward theaters, with snorkeling, surfing and water sports directly across the street. Reminiscent of communities like Roppongi Hills & Tokyo Midtown, New York's Upper East Side & Pudong in Shanghai, Ward Village is a ânew community in the heart of Honolulu that is unlike anything that exists in Hawaiiâ¦combination of world class architecture, a walkable neighborhood and an authentic district of high quality shops, restaurants and entertainment offerings...,â according to Chef Nobu Matsuhisa. Waiea, Ward Villageâs âflagship buildingâ, boasts Nobuâs Restaurant, access to â135 unique retail & dining experiencesâ; block from Honoluluâs largest Whole Foods. New (never lived in) 3/3.5 unit w/2669 SF interior+154 SF lanai; marble finishes. Sweeping glass faÃ§ade; preferred East facing view to Waikiki/DiamondHd. Fitness ctr,golf simulator,oceanview pool,concierge,24/7 res manager. The ultimate in luxury living on the ocean-side of Ala Moana Shopping Center - 2 bedroom, 2.5 bath, 2 parking unit in the high-end Ocean Residences of Park Lane. Enjoy gorgeous ocean views and resort-style amenities including valet, concierge service, private dining rooms, party rooms, private wine bar, gated dog park and fitness/spa facility. Brand new, never lived in corner unit with BBQ on the grand lanai. Entertain and enjoy the breathtaking views! Sale includes brand new furnishings - turnkey package! Rarely available large 35,491 sq ft lot R-5 Zone in Liliha with 5 buildings for a total of 10 rental units with ample parking. Exterior was freshly painted in 2018 and some units were renovated in the past 4 years. Total gross rental is approx. $18300 Monthly. A jam property in the heart of Honolulu for endless future possibilities. Luxurious urban villa at the distinctively elegant Waiea residence. Villa 4 is a two-story, ground floor property with a fully enclosed outdoor space. Residents will delight in their own private pool, barbeque and two-car garage. This premium villa is fully furnished with a modern interior design. High ceilings, expansive sliding-door windows, Miele kitchen appliances, motorized sun shades, spacious walk-in closets and an open contemporary floor plan that elevates the high standards of luxe-living. In addition, Villa residents have full access to all Waiea amenities. The exclusive Villas at Waiea are perfect for the buyer who prefers a single-family home without all the responsibilities of one. Indulge in the amenities of this luxury villa. Walk across the street to Ala Moana Beach Park, or to nearby upscale dining, diverse shopping, movie theaters and more. Enjoy the exquisite first-class lifestyle of Ward Village. PANORAMIC OCEAN & ALA MOANA BEACH VIEWS from this luxurious HOKUA Penthouse unit. Honoluluâs premier condo known for its top amenities, 5-star concierge service and exceptional quality of building & design materials. Spacious floor plan with custom designed finishes includes a living/dining area, adjoining family/TV room (previously 3rd bdrm), Master Suite, Guest Suite, plus a 3rd Full Bath. Exclusive access to superb amenities: fitness center, tennis court, resort-sized pool, BBQ cabanas & more. Located across from beautiful beaches + ocean sports for healthy living. Also nearby world-famous Ala Moana Shopping Centerâs outstanding shops and restaurants. Residence 3303 is one of only 6 HOMES with DIRECT access to the unique âGREAT LAWNâ at Park Lane Ala Moana. 3303 also has itâs very own PRIVATE SPA on it's lanai which is adjacent to the great lawn. These particular homes will not be available often. It is surrounded in lush landscaping and trees, providing an intimate outdoor experience, and only steps from the expansive lawn â only at Park Lane. The parking is also on the same level providing convenience entering and exiting the home, without the need for elevator use. Park Lane Ala Moana combines the privacy and space of a single-family home with the added benefits of a 24-hour Residential Services team and unparalleled resort-style amenities. Park Lane is located in the heart of Honolulu. Discover Waiea, Honoluluâs most exclusive luxury building set in Ward Villageâs fully walkable urban community. The Waiea 33-C penthouse will allow you to explore Honolulu in an entirely new way. Nestled between Ward Village shops and the beach, with spectacular views of Kewalo Harbor and the lush mountainside, you will live the resort lifestyle all year round. This 2 bed, 2.5 bath penthouse features nearly 10.5-foot ceiling heights, accompanied by upgraded penthouses finishes, and premium Miele appliances. Likewise, you can enjoy the fresh ocean breeze with a 159 sq. ft. lanai, perfect for entertaining as well as leisure.